Flinders is an appealing holiday destination with its scenic coastal location set amongst rolling green hills and surrounded by some of Australia’s best wineries and exceptional fresh local produce. 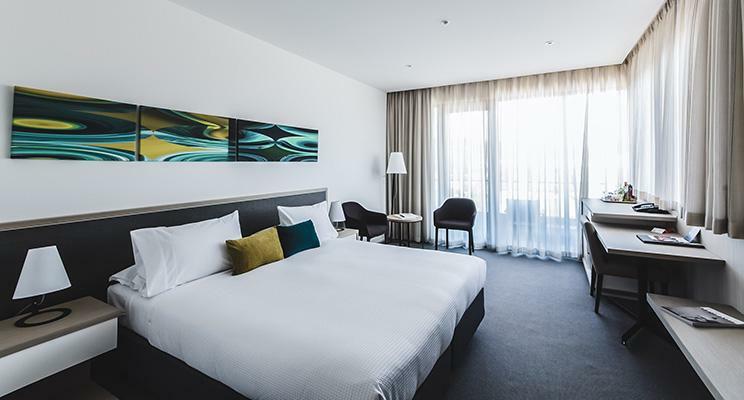 Flinders Hotel is a 40 room boutique hotel with contemporary style inspired by the coast & casual dining for a Melbourne getaway with a difference. 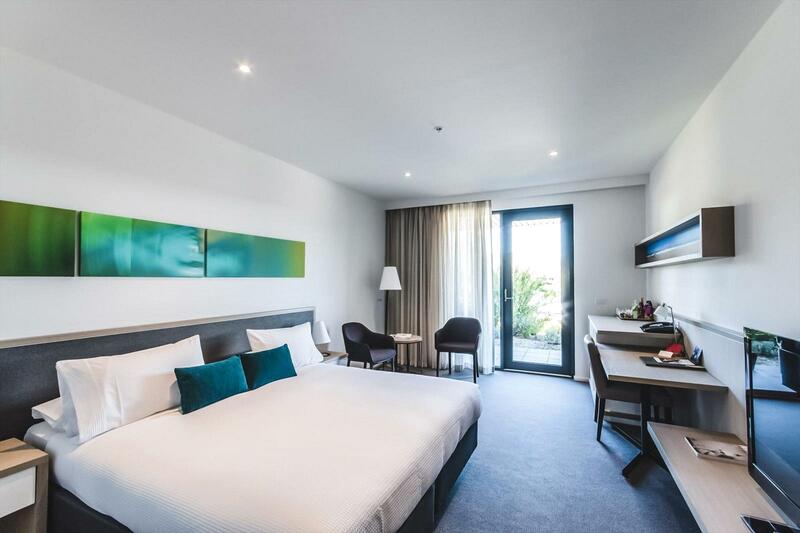 This 4.5 star architecturally designed hotel, is anchored in the fabric of Flinders and inspired by the natural surrounds; abstract waves define most of the facades, timber cladding, stone and splashes of colour are evocative of the Flinders pier, cliffs, sand and sunsets, giving the architecture a character that resonates with locals, patrons and the surrounds. The hotel offers onsite casual dining and bars. The Deck Bar & Bistro is a relaxed, casual, family friendly environment. The perfect meeting place for a quiet drink and a sensational meal in the heart of Flinders. Open daily for lunch and dinner. Relax and enjoy the coastal vibe at Zigis Bar, open every Friday to Sunday from 3pm. Reception hours are from 8.00am to 8.00pm. For late arrivals please contact reception prior to arrival. Our phone number is on your confirmation. 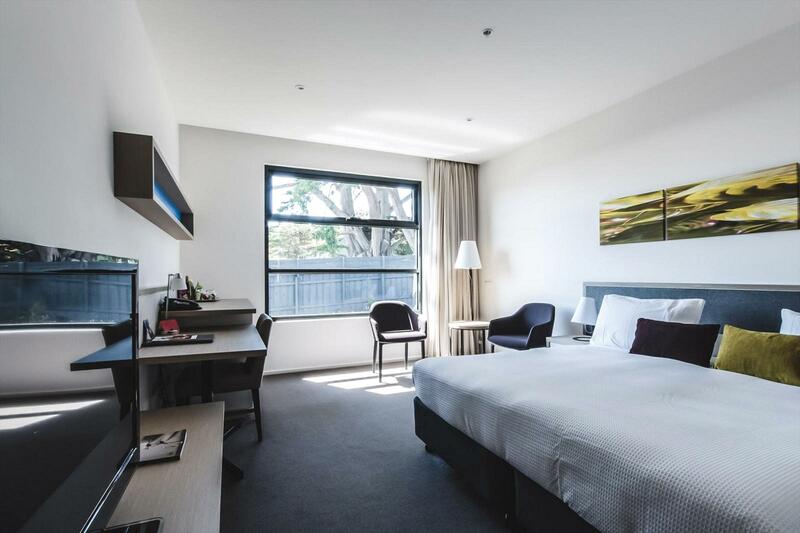 Flinders Hotel is located only 1.5 hours out of Melbourne and close to many famous attractions in the region including the Peninsula Hot Springs, Strawberry farm, Mornington Peninsula Chocolates and the beautiful Cape Schanck. The Flinders area is an appealing holiday destination due to its scenic coastal location amongst rolling green hills and surrounded by some of Australia's best wineries and local fresh produce. Flinders Golf Club is only 2 minutes drive from the hotel and features stunning panoramic views across the Peninsula. Cancellations within 24 hours of arrival date - 50% of tariff is charged. Cancellations for long weekends and public holiday periods - 50% of tariff is charged if cancelled within 48 hours of expected arrival. With a contemporary design, these rooms offer a variety of outlooks and include a gourmet continental breakfast featuring delicious local produce. Listen to your own music on the Ipod dock, WIFI is free and the TV offers 13 cable channels. Rooms have large bathrooms with shower and are available with king sized bed or twin king singles. Ground floor rooms with outdoor patio, surrounded by landscaped gardens. A gourmet continental breakfast featuring delicious local produce is included in your room rate. Listen to your own music on the Ipod dock, WIFI is free and the TV offers 13 cable channels. Rooms have large bathrooms with shower and are available with king sized bed or twin king singles. With high ceilings and large outdoor balcony, this room offers elevated views to the Flinders village and across the tree canopies. A gourmet continental breakfast featuring delicious local produce is included in your room rate. Listen to your own music on the Ipod dock, WIFI is free and the TV offers 13 cable channels. Rooms have large bathrooms with shower and are available with king sized bed or twin king singles. 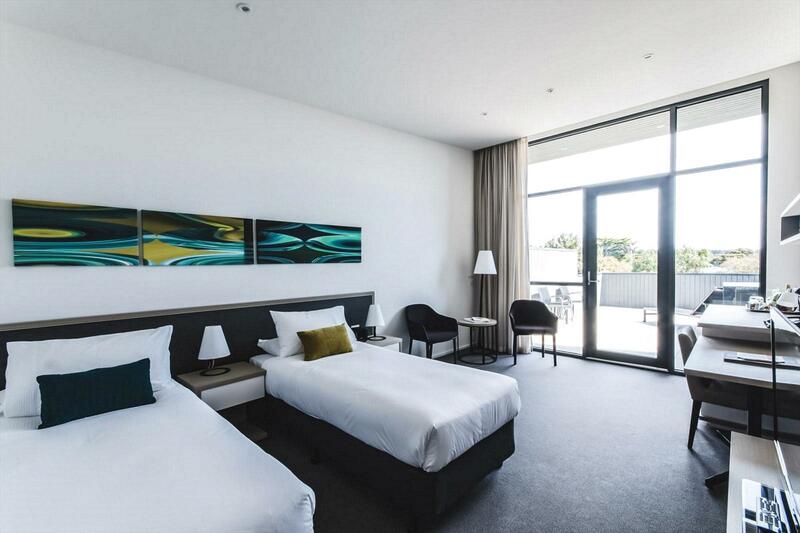 Built in a contemporary design, these rooms offer either balconies or patios with views of the original Flinders landscape. A gourmet continental breakfast featuring delicious local produce is included in your room rate. Listen to your own music on the Ipod dock, WIFI is free and the TV offers 13 cable channels. Rooms have large bathrooms with shower and are available with king sized bed or twin king singles. A perfect location to the main street of cafes, chocolate shop, antiques and local restaurants. I have to credit the outstanding service at the hotel, at breakfast, dinner in the fine dining restaurant and the casual pub style dining. I've worked in hospitality for over 10 years and find it very rare where all staff across all sectors of the hotel and dining experience offer the consistency of fantastic service, this made my stay from a good one to an outstanding one.